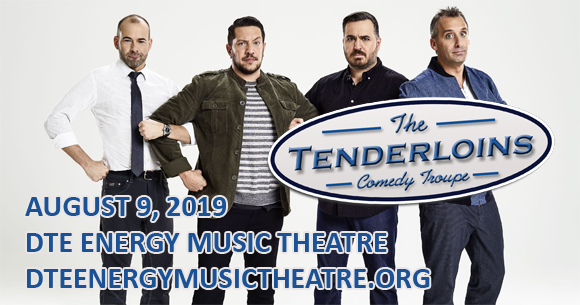 Mischief and mayhem comes to DTE Energy Music Theatre on Friday 9th August 2019 as The Tenderloins (aka the stars of TruTV's hilarious candid camera show Impractical Jokers) descend upon the venue with their Crajis McBasketball World Tour! Stand-up, improv, sketches and hidden camera tomfoolery abound in this high -energy celebration of the ridiculous! Get ready to laugh 'til it hurts! The Tenderloins are an American sketch and improv comedy troupe. Currently composed of Joseph "Joe" Gatto, James "Murr" Murray, Brian "Q" Quinn, and Salvatore "Sal" Vulcano, the group are the originators and stars of TruTV's popular television series Impractical Jokers (which has run for eight seasons), and its three spin-offs (Jokers Wild, Inside Jokes and After Party), as well as two podcasts and an upcoming feature-length movie, due for release in 2019. The troupe was formed in 1999 by Murray, Vulcano and Gatto, along with friends Mike Boccio and Gideon Horowitz, who met as high school friends on Staten Island. The group became popular on the live comedy circuit in the early 2000s and became viral sensations through YouTube, MySpace, Metacafe and other websites with their comedy sketch videos, which quickly racked up millions of views. Their popularity increased even further in 2007, when the group took home a $100,000 grand prize for winning the NBC It’s Your Show competition with the sketch "Time Thugs". After a television deal with Spike TV that fell through, The Tenderloins struck a deal with TruTV in 2011 to produce the hidden camera reality series Impractical Jokers, which soon became a worldwide hit.